4wdCamperHireDarwin.com.au is proud to announce that we have teamed up with HitTheRoad.rentals to offer campervan hire Australia wide and in all shapes and sizes – not just 4wd. 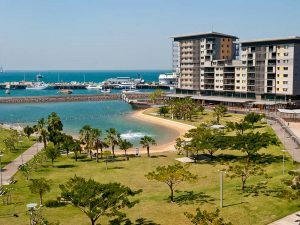 Let’s face it if you’re a foreign traveller, Darwin is an awesome place to start a 4wd adventure around Australia’s top end. In fact I don’t understand why there is so much hype about the main road that runs between Cairns and Sydney on the east coast. That is such a well beaten path that the locals see a campervan as ‘just another tourist’. The best adventure you can have in Australia in a campervan is go where less tourists go, but where more Aussies go. If you are interested in travelling for a month in a van and only meeting other tourists then head to the Cairns-Sydney route. But if you want to meet true Australian’s that are out to see their country, then you’ve got to head to the top end. And for those Aussies that are finally deciding to leave the city and see the never-never, then you already know that Darwin is the gateway to all that and more. In fact there are a number of companies with branches in Darwin that are national and will let you do a one-way long haul from Darwin to your home city. Why not fly to Darwin and one-way it back home. It will be one cracker of a trip. Anyway, I digress, I was here to announce that you can now access the largest database in the world about campervan rental companies in Australia, New Zealand, USA and the world through HitTheRoad.rentals – out new partners. We are stoked to be associated with HitTheRoad as I am sure you will be if you head on over a check out what they have to say. In fact here is the link to the Darwin specific page that will have a list of every single campervan rental company in Darwin – not just the big brands, but all of them! Here you go… Campervan Hire Darwin At the time of writing, they have 17 companies listed, but that will always be changing and updating so jump on over there and see for yourself. And don’t forget if you are looking for a little local car hire whilst in Darwin, then they can help you out with that too. This entry was posted in Travel Features and tagged Campervan Hire Australia, car hire Darwin, Darwin campervan hire, HitTheRoad.rentals. Bookmark the permalink. 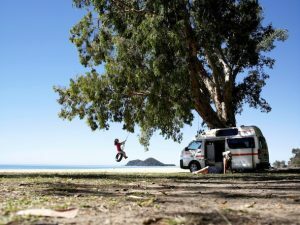 ← 4wd Camper Hire in Darwin – Do I need it?